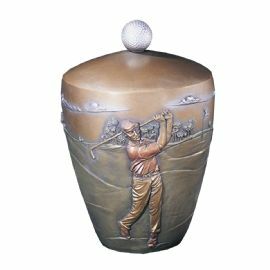 This is a full-size single urn and is designed to hold the cremains of a person having a total body weight of up to 250 pounds prior to cremation. 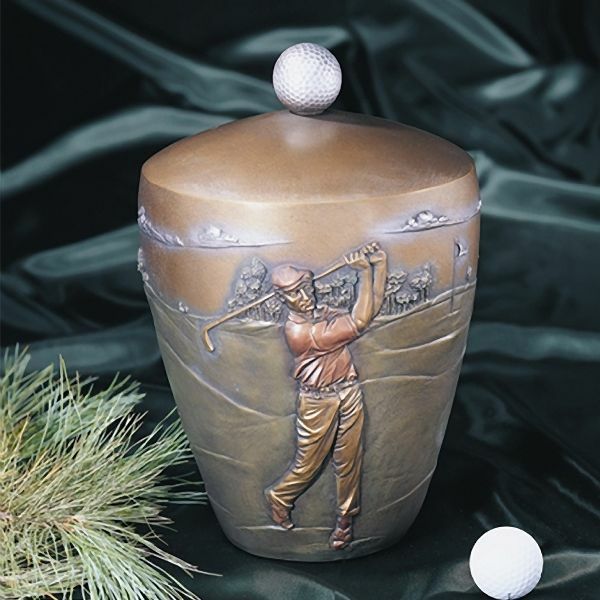 The Golf Tribute is a "cold cast" statuary cremation urn based on original artwork from artist Morales. Cold cast are tough, hard polymers that are particularly well-suited for casting in elaborate, intricate molds. Cold cast materials are particularly known for their durability.